“These deficiencies originate from failure of leadership at the ministerial level. The failure of leadership includes the absence of educational federalism philosophies which recognize the existence of social and cultural constraints on students’ access to school knowledge in certain cultures of Nigeria, failure to adopt efficient system of resources allocation methodology, and failure to effectively manage an education system in a trade union environment“. 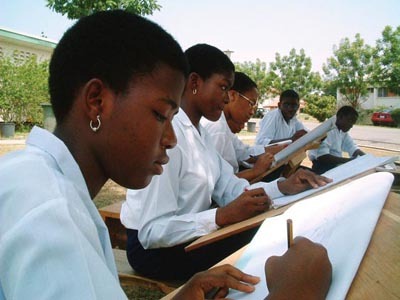 Conflict has been described by some school of thought as agent of positive outcome though the frequency and magnitude of these conflicts underscore the need for a transformation of the Nigerian Education System since education resonates as the major democratizing and economic force of the 21st century. Dr. Condoleezza Rice, former secretary of state of the United States of America postulated that quality of education of a nation is a direct function of a country’s national security. This relationship stems from the role education plays in providing the human capital needed in economic development, in enhancing the comparative advantage of the nation in the global market, in preparing the personnel that serve in the military and providing the knowledge base for technological training. Implicitly, the human capital of a nation is a derivative of its quality of education and the quality of education is as important as the national security. Using a recent example, the Nigerian Military has been unsuccessful eliminating Boko Haram insurgency because they are fighting 21st century Islamic military insurgency with nineteenth century military education. This is what a dysfunctional education system can do to a nation. In recent times, certain citizens of western and eastern Nigeria have had acrimonious exchanges on genuine issues on which reasonable people can thoughtfully disagree. However, these exchanges have never precipitated into destruction of human lives or property because of the literacy level of these parts of Nigeria. Invariably, failures in Nigeria’s education system pose a threat to the issue of cohesion between the north and the south. Suffice it to state that education has a national security dimension and the lack thereof poses the greatest risk to the national security of Nigeria. From a holistic perspective, these failures permeate the three tiers of the education system. At the elementary school level, the failure to produce students that have proficiencies in reading and writing in English language, the failure to ensure that teachers are well trained and the failure to ensure that teachers are paid regularly in all states of the federation. At the secondary school level, the failures include absence of curriculum that is aligned to college and career readiness standards, absence of curriculum that is trade or vocational school adaptable for non-college bound students, absence of globally competitive high school curriculum and failure to produce students that have proficiencies in math, science and English language. At the University level, the failures include, inability to produce graduates that possess essential competencies of their major fields of study, failure to function as hub of research activities, failure to conduct safe and secured exams, failure to adopt independent third party accreditation model, failure to assist in developing high school curriculum, failure to construct education system that recognizes the cultural differences of the constituent parts of Nigeria, failure to attract good teachers in diaspora and failure to train good teachers. These deficiencies originate from failure of leadership at the ministerial level. The failure of leadership includes the absence of educational federalism philosophies which recognize the existence of social and cultural constraints on students’ access to school knowledge in certain cultures of Nigeria, failure to adopt efficient system of resources allocation methodology, and failure to effectively manage an education system in a trade union environment. Using the American Model, the nation has to acknowledge the national security risk created by the dysfunctional nature of the present education system. To this end, the president needs to establish Education Reform Commission. This group should be composed of experts, retired professors, retired teachers, consultants, researchers, practitioners, alumni of foreign universities including Professors, consultants, teachers, principals, diagnosticians, and practitioners of Nigerian descent in diaspora. The commission should be mandated to conduct public hearings in selected foreign countries with large population of persons of Nigerian descent and the probable theme of the reform should be Accountability, Transparency and Empowerment. This article of faith should guide the commission’s deliberations and recommendations. In the interest of the reform, the leadership of Jamb and National University Commission should be reassigned. These establishments are self-sustaining as such should be privatized using the relocation of economic functions approach rather than reassignment of property rights. In summary, education is a behavior modification therapy, economic oriented human capital creator and a lubricant that sticks diverse society together.